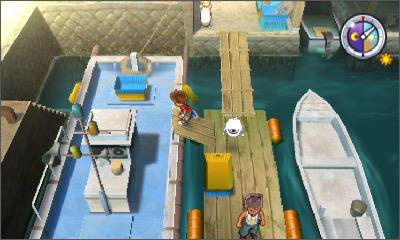 When Yo-kai Watch arrived in the West (initially North America) in November 2015, it charmed us with its dense and detailed world, frantic touchscreen battle system and off-kilter personality. Although the similarities to Pokemon were overt, Yo-kai Watch still managed to carve out a unique identity and take us on a surprisingly fresh RPG adventure. It wasn't without shortcomings, but it was an auspicious debut that suggested even better things were on the horizon. Now the sequel, Yo-kai Watch 2, is here, and sadly it struggles to build upon the promising formula of its predecessor. Can its sturdy foundation withstand the weight of familiarity and a couple of sizeable missteps without crumbling to the ground? Yo-kai Watch 2 is set primarily in the city of Springdale. You fill the shoes of either a boy or girl of elementary school age as you investigate a paranormal presence in town. Sound familiar? It should – if you're fluent in Yo-kai, you've been here and done this before. When the mysterious witch-like spirits Kin and Gin steal the titular Yo-kai Watch and wipe your memory, you embark on a series of quests that mirror the opening hours of the first game. You'll meet Whisper and Jibanyan all over again. You'll investigate why your parents are fighting over trivial matters. 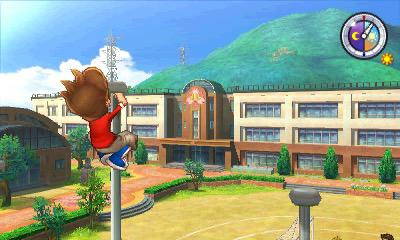 You'll be reintroduced to the Yo-kai Watch, complete tasks to upgrade it, learn about the game's core and supporting systems, and unlock areas of town that you explored fully the first time around. The intentional dose of déjà vu is overwhelming, and it's responsible for a bloated, rote, and tepid introduction to the game. Springdale, which makes up the bulk of the world, returns largely as we left it, but two new areas – the easygoing seaside town of San Fantastico and the rural Harrisville – have been connected by way of train. Problem is, riding the train is an utter nuisance. Whether you like it or not, the train makes at least three stops between major destinations; each of these stops consists of nothing more than a passenger boarding zone (there's no city or small town attached), so there's rarely a reason to exit the train when you're presented with the option. And between each stop you'll have to endure random and repetitive events – such as Yo-kai battles and NPC cutscenes – which extend the length of an already inconvenient train ride. The train's execution is quite possibly the game's greatest misstep, as it brings progress to a crawl whenever it comes into play. When fast-travel mirrors eventually make their debut, the train can usually be bypassed. The catch is that these mirrors must be found and activated manually before you can use them, a step that feels like unnecessary busywork in a game that often allows its fragmented world and sluggish methods of traversal to obscure its best attributes. To further complicate matters, time travel is a key component of this entry (allowing you to wind the clock back 60 years), and for the majority of the story you can only venture through time from one location – the Harrisville Station Plaza. This means, if you need to travel to a specific destination in the past, there's a multipart process: You have to ride the train or fast travel to Harrisville Station, enter the time-travel mirror, ride the train or fast travel into town, and then physically make your way to your objective. It's a process, certainly, one that puts a damper on your enthusiasm while travelling to these beautiful new areas. On a positive note, the navigational assistance we so desperately longed for during our original Springdale adventure has been added. Selecting a quest from your log now provides an arrow on the touchscreen map that ensures you never have to scour your surroundings to find the next objective. While the quests themselves could use more dungeon-crawling and fewer fetch-based errands, this helpful improvement goes a long way to ensure you aren't discouraged from completing a task due to ambiguity. It's not enough to offset the aforementioned shortcomings, but it is conducive to both progress and enjoyment during moments of adversity. 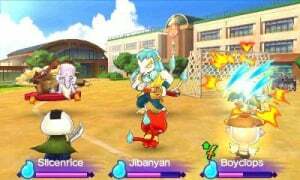 The polarizing battle system, which sees your Yo-kai party attacking autonomously while you contribute in a variety of ways on the touchscreen, remains largely the same. It's still fun to frantically rotate your lineup, dispense heath and buffs, and enact special Soultimate attacks, but the lack of any meaningful structural changes is certainly felt; the few new Soultimate minigames don't outshine the returning minigames, and the new M Skills – which can be best described as "one mega Soultimate attack for the price of three" – feel tacked on and aren't essential to success. It's also worth mentioning that slowdown rears its ugly head on occasion, and it can lead to a touchscreen that's not as responsive as it should be. So while duelling still offers its fair share of thrills, it's not perfect, and the novelty is starting to wear thin. That brings us to the true stars of the show: The Yo-kai. There are purportedly 350+ of these ghostly troublemakers lurking about, over 100 of which are new, and they're equipped with distinct personalities and plenty of amusing quirks. Yes, they're ludicrously named and designed, but that's a major part of the appeal; fun trumps believability in the world of Yo-kai Watch, and the experience is better for it. There's still not enough communication when it comes to determining which edibles will entice which tribes of Yo-kai to offer their friendship, but we did befriend Yo-kai at a noticeably higher rate this time around. Having a deeper pool of options to choose from led to a more robust party, more dynamic battles and, ultimately, greater satisfaction. Whether via internet or local wireless, the ability to face off against other players is a wonderful way to test the mettle of your starting lineup. Casual matches will reward you with nothing more than bragging rights, but participating in Official Battles nets currency to spend on useful items. In the latter, Yo-kai levels will automatically default to 60 so the match is as fair as possible, but there are other stats and factors that can give you an edge on the competition. We've struggled to find opponents at certain hours of the day, so it's worth keeping in mind that this feature may not have much longevity. But if you're desperate for human interaction, you could always coerce a friend to hop online by offering up a snazzy Yo-kai for trade. That's now something you can do online, not just locally. Then there's Blasters mode, which allows four friends to unite through a local wireless connection to participate in a multiplayer version of the returning single-player event, Terror Time. Each player takes control of their Yo-kai of choice, running around town and working together with teammates to collect items, avoid or beat up baddies, and reach the exit before getting KO'd. This unfolds from a top-down view – no touchscreen battles here. The mechanics aren't exactly riveting, as attacks are sluggish, and brief cool-down periods don't make things any snappier. Some people will be able to milk hours of entertainment out of this mode, but most, like us, will likely find it underwhelming and not worth much time. Speaking of time, if there's one area where Yo-Kai Watch 2 truly excels, its value. There was already a lot to do in the previous game, but this one takes things to another level. If you have a proclivity for collecting, not only are there a whopping 350+ Yo-kai to befriend, there are also 198 critters to catch, at least 87 music tracks to purchase, 80 trophies to unlock, and more. Plus, there are now challenge rooms hidden around the world, and completing these eventually unlocks even greater challenges. All of this is in addition to the surplus of quests and surprises that remain post credits. Whether or not these activities will offer enough substance to deserve your attention will depend on personal preferences, but that doesn't change the fact there's a heck of a lot to do, even after the 30-ish hour story is concluded. 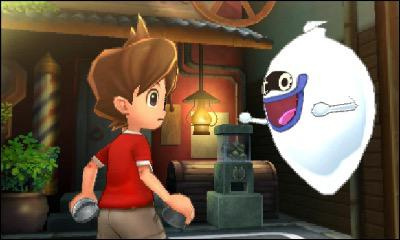 Like its predecessor, narrative is an area where Yo-kai Watch 2 misses the mark. Learning about the origin of the Yo-kai Watch is neat, and getting more backstory on Jibanyan's history is particularly touching, but the rest of the plot beats failed to leave an impression on us. This could be because it took so long – nearly two-thirds of the game – for the primary conflict and central antagonist to be clearly asserted. Or maybe it's because the main questline is unfocused and diluted with deviations and distracting activities. Whatever the reason, Yo-kai Watch has a problem with plot, and it needs to be addressed in future instalments. Surprisingly, we extracted the most enjoyment out of Yo-kai Watch 2 after the story was wrapped up. By that point the train wasn't much of an issue since we'd activated enough fast-travel points to get around as painlessly as possible, which allowed us to interact with the world and its offbeat inhabitants, appreciate the stunning presentation, and dive into the many optional activities with minimum interference. This is one of those odd cases where, even though a few major complications and poor choices can turn chunks of the game into a chore, there's so much content, so much polish, and so much personality to go around that it lessens the blow significantly. That doesn't excuse this sequel for dropping the ball, but it ensures that there is an audience that will be able to get what they seek from this instalment regardless of its flaws. That definitely counts for something. 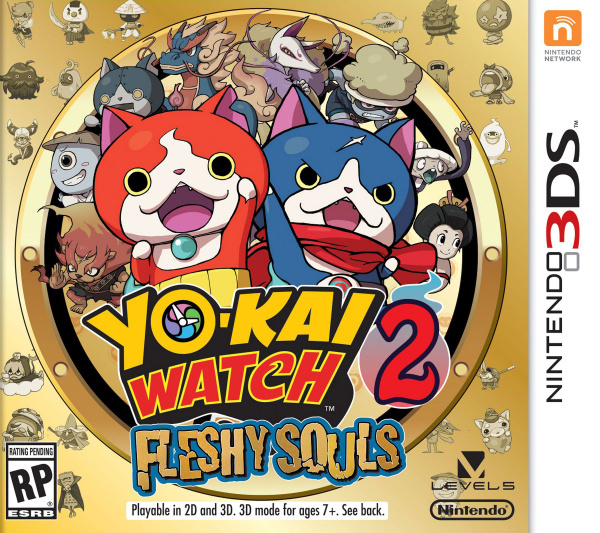 Note: Following in the footsteps of the Pokemon series, Yo-kai Watch 2 comes in two flavours: Bony Spirits and Fleshy Souls. We spent ample time with both versions, but Bony Spirits we saw through to the end of the story and beyond. Outside of a small number of exclusive Yo-kai, we weren't able to detect any obvious differences between the two. If you're unsure which version you want to go with, we recommend perusing Wikis to determine which group of exclusive Yo-kai best aligns with your tastes. Instead of evolving, Yo-kai Watch 2 plays it safe by fusing new content – some good, some trivial, and some bad – onto a recycled frame, and the result is what we refer to as a sophomore slump. There's still a lot here to like, but we can't help but feel that this is an entry only diehard Yo-kai fans will be comfortable purchasing at full price. Some players will love it despite its issues, while others will feel cheated by the flagrant and numerous similarities to its predecessor, as well as become frustrated by its traversal-related blunders. Whichever is the case, it's obvious that this sequel could have been so much more. 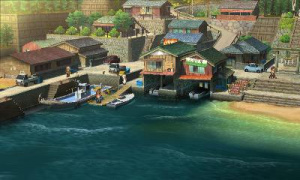 Now we wait and hope that Yo-kai Watch 3, which is already out in Japan and looks to feature drastic changes, gets localized and steers this incredibly promising series back on track. Tried the demo for the original game. As much as I really want to like this franchise, I just can't. I honestly hope that Yo-Kai Watch 3 is better, because these games are certainly not pulling me in. I don't care what other people say. I think this is a fun series. I find battles entertaining because I don't have to input attack commands ad nauseam. When I seen "sophomore" in the conclusion I just knew this was written by an American. Speaking of writing, I think that's the first time I've ever written that word. I'm a little surprised by the score. I think the series is fine, but I think that it's still just too "Japanese" for the Western audience. Unlike Pokemon which draws inspiration from literally every culture, Yokai are strictly Japanese. It's no wonder Japan eats it up while everyone else just kinda shrugs at it. Personally I really liked the train system, if you can get past the times you use the train and the somewhat slow beginning meant for newcomers, then I think you're really going to enjoy the game. The boss battles are the real highlight for me personally, as they were surprisingly more difficult this time. It's a shame that Youkai Watch didn't live up to its potential as a series. I personally love Japanese culture and have been studying Japanese for years, so, in theory the games would be perfect for me, but they lack so much in gameplay depth that it's baffling. The first generation of Pokémon were much better games than these. It feels as if they are only meant to cater to children, too shallow for anyone looking for a robust monster catching RPG. I haven't played the first game but I've very interested to give the series a shot. I wouldn't mind playing the first game before this sequel. Are there elements/characters introduced in the first game that warrant a play-through of it before hitting this sequel? Death to the Pokemon ripoff!!!!!!!!! @meltendo The sequel is essentially a reboot of the YW games. I recommend getting YW2 over YW1. I own the first game but still haven't played it yet (and it may still be a while before I get to it). It'll be some time before I pick this up, though I hope to grab the demo soon. I'm thinking about getting Fleshy Souls, but if Shinuchi gets localized I'll probably grab that one instead. @SLIGEACH_EIRE What does the reviewers nationality have to do with anything? @MailOrderNinja It's nothing bad. Just it's an American word. You don't hear it over here at all. I really have to echo this sentiment. I played the demo of the first game when that came out and I really didn't like the battle system but found myself really enjoying the characters and worlds. I wanted to love the game but I just couldn't do it. I actually enjoyed the world enough that I started watching some episodes of the show though. Once the demo of the second game came out, I gave it a try and unfortunately felt the same way again. That battle system does nothing for me but I just love the world and concept and all. While I'm very much enjoying the game myself, it is VERY tedious in some aspects, especially with friend recruiting and fetch quests expanding across entirely different cities. While it is improved with Yo-kai like Mirapo, it still is a huge stretch just to find a single Yo-kai and only have a chance to befriend him all because of random generation. I think kids are the target demographic here. My son LOVES Yo-Kai Watch. I appreciate the polish of the graphics and presentation and it would have been something I would have loved to play 35 years earlier when I was his age. Like a lot of other people here, I was left cold by the battle system in these games. It's just not fun. Which is too bad, because the games seem well-designed in many other respects. I have about 30 hours in now. I do like the game and it is very well done. There are some annoyances, such as certain fetch quests where you need a specific yo-kai to complete it. If they fixed the friending system it would be even better. Bottom line is if you liked the first one and the weird world of Yo-Kai Watch then you will enjoy this one. Am... somewhat surprised to see the score being lower than the first title on this site. I guess the new negative elements annoyed you more and the positive elements impressed you less compared to my experience. I can respect that. Personally, I love this game. I still think they should start with this title. @SLIGEACH_EIRE Wow cool! Nice contribution to the discussion! So- if one owns the first game, they might want to think about it before buying this one. However, if, like me, you never got around to buying the first one then this is a good buy. Did I get that right? @Mega_Yarn_Poochy Thank you for not "correcting" the spelling of "Color" as some do. Personally, I probably have 12 hours under my belt. 1. Hovering with the pin tells you what sort of food the Yo-Kai would like to eat. Maybe I accidentally read over that in the review, but that is really helpful since it takes out the guesswork to try and hope for the best. 2. I can have my favorite Yo-Kai follow me instead of Whisper. It's something I wish Pokemon did more often, and I think it's a cool addition to the game. 3. There is plenty to do. From completing side quests or just collecting everything I'm sure I'll be busy with this game for weeks at least. Yup, I would say so. I have played the first Yo-Kai Watch, and I can understand why some reviewers would lower the score just for playing it and moving on to the sequel. The beginning does feel like it lags when you already know the ends and outs(plus the memory loss is just...a weird touch I'll admit), but once you get past a few nagging key points for 'beginners' the game shines in a lot of ways. As I said before, for those that never played the first one, starting here should feel fresh and the overall experience should be a rewarding one, especially thanks to a few of the tweaks over the original. Not really sure what to think of this. On one hand, I did enjoy the first game but I am not too sure if these are worth importing from Australia, like I did with the first one. I guess I can wait for the european release this time. 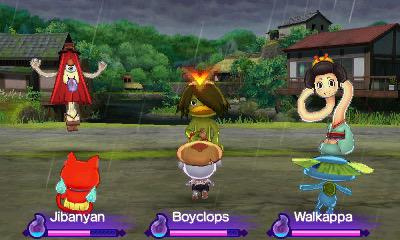 The demo of Yokai-watch 1 was terrible and didn't do the game justice. I actually played and finished the first game together With my 5 year old son and we loved it, especially him. He has finished it 2 times now and can't wait to play the second one, which unfortunately here in Europe doesn't have a release date yet. @Jeronan You could always import from Australia. @mantez I checked but cannot find any online store shipping outside Australia? Any tips? Exactly what I was thinking, If I was a kid I probably wouldn't have put it down for half a year! I played the demo for the first one, thought it was pretty cool. Not cool enough to buy it full price, though. I'll get YW and its sequel if I ever find them cheap enough. I like the series but the combat is awful, while I appreciate it's trying to do something different, if it had a turn based system like Pokemon the game would be brilliant. I don't have the first game. Should I try that first or just dive into the second one? Any suggestions? 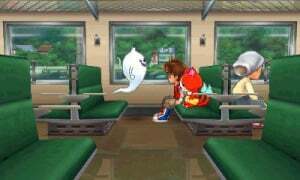 I played the first Yokai Watch and i liked it, however, i didn't understand why is soooooo papular in Japan, is not that good. And considering that this game apparently is worse, I am even more confused. I think the perception. Japanese people love their culture so much, even in the game. Maybe some things on Japan that appeal to Japanese people but will make different reaction for foreign. Like culture clash, exothic things or bizzare things. While Star Wars very popular in Western, but not in Japan and vice versa. @MailOrderNinja they like to state the obvious, its easier just to ignore them than to feed them. @Qun_Mang It's a great buy! You won't be missing out from YW1. Yeah, I read about the fluffed side quests and excessive travelling in other reviews. I'm still wading through the first game, so I can wait to pick this one up. I still want to get to it before the 3rd entry comes out, since that one sounds like a major improvement. I wish them all the success with this franchise in western markets but I wont support it beyond the first game. The seemingly random nature of befriending those things was beyond tedious. Just got the 1st game in this series and so far I'm liking it quite a bit. I played both demos and didn't think I'd like the games, but after giving the actual game a try, it's pretty fun. Loved the first one but am a ways off from completing the medallium yet so I think I'll wait till that's completed before moving on. @antipop621 If you're really not in the mood for befriending stuff, the online trading is there for you. Ok... more of the same with only a few tweaks? Not so surprising since Level-5 releases its sequels way too fast. Will there be localization for the third (enhanced) version? @legendwaker @BluePikmin11 Thanks. I'll pick one of them up eventually. @SLIGEACH_EIRE Ah my apologies, I was assuming you meant it negatively. when I downloaded the demo of the first game I didn't like it that much but still decided to buy it, and I really liked it. I enjoyed the battle system, it's new and fresh. The story is cute and obviously aimed for children. Though befriending yokais are quite hard I gave them a lot of food and still won't join me; that system reminds me of shin megami tensei. I didn't like that random yokais are easy to defeat, I wish there's a difficulty setting. It is sad that this game is still being compared to pokemon. I loved pokemon but lately it has become dull to me. Same old story, new pokemons.. that's it. Anyway, I've decided to buy YW2 and hopefully YW3 would be localized. Quite a surprising score. I was expecting a 7 or 8. But I'll still probably buy it, because I loved the first one. @legendwaker That is SO true. I'mv loving this game so far. I liked it quite a lot, but I can understand this score and the reasons behind it. The reviewer brings up fair points, and how good you'll think it is depends on what kind of player you are. I too noticed that yo-kai were easier to befriend, and I was really glad to see that change. I sunk well over 100 hours into the first game trying to complete the medallium before finally losing patience with the innumerable repetitive battles when I was about 30 medals shy of completion. I also love the new navigation for side-quests that was brought up in the review and would also like to see some kind of food guide instead of endlessly looking it up on wiki pages. They did remove a lot of warp points from the first, which was irksome. I guess the justification is all the new areas, but it feels more tedious to get around than before. But overall I loved it, just like I loved the first, even though both can be incredibly frustrating. I'm guessing .. add three stars if i never played the first one? I played the pokemon demos, could never get into it. Finally decided to give the first yokai a try. Maybe I am stupid but this game has got me hooked for the last couple of days. Looking forward to the sequel. hopefully there will be more games localized.